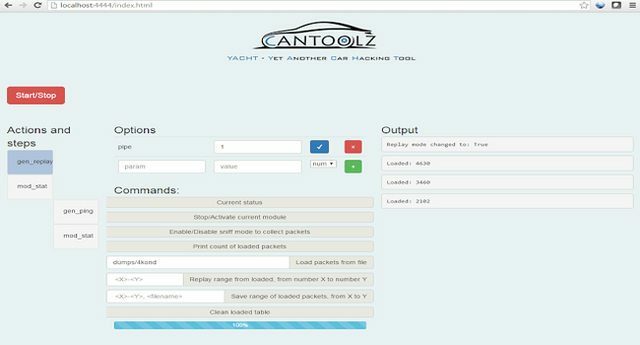 CANToolz is a framework for analysing CAN networks and devices. This tool based on different modules which can be assembled in pipe together and can be used by security researchers and automotive/OEM security testers for black-box analysis and etc. You can use this software for ECU discovery, MITM testing, fuzzing, bruteforcing, scanning or R&D testing and validation. This platform is a try to unify all needed tricks/tools and other things that you can do with CAN bus in one place. I have found, that there are many tools available, from Charlie Miller and Chris Valasek tools to UDS/CAN tools by Craig Smith. And many other options possible. Just use modules as “needed”. Example with DIFF mode, to find door unlock commands.